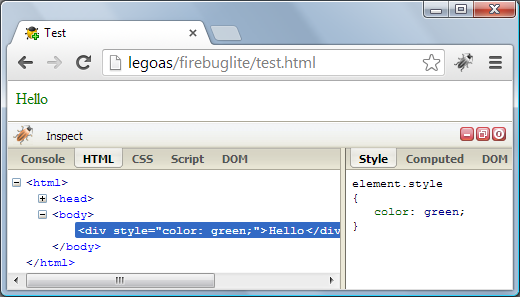 You an also inject Firebug Lite into an existing page using the following bookmarklet. Just drag this Firebug Lite Link into your Bookmarks toolbar. You can also click the link immediately to test Firebug Lite on this page. 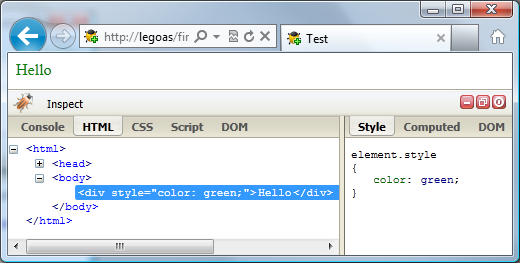 This approach is recommended in cases when you use Firebug Lite for inspecting random pages. One of the most interesting use cases is running Firebug Lite on mobile devices, especially tablets since they have bigger screen (Firebug Lite is not yet optimized for small screens). 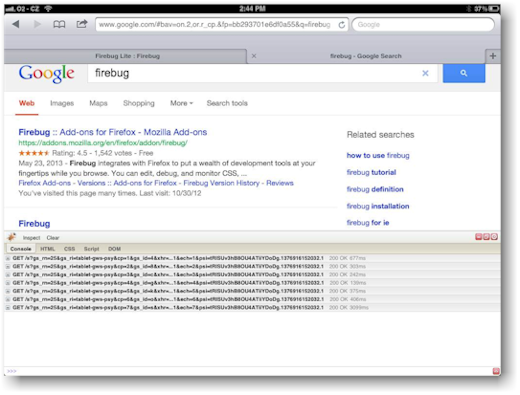 Inspecting pages on mobile devices can be faster with Firebug Lite since you don't have to deal with remote debugging settings, setup connection with the PC, etc. All you need is to click a bookmarklet. Read a post about how to create Firebug Lite Bookmarklet for iPad. 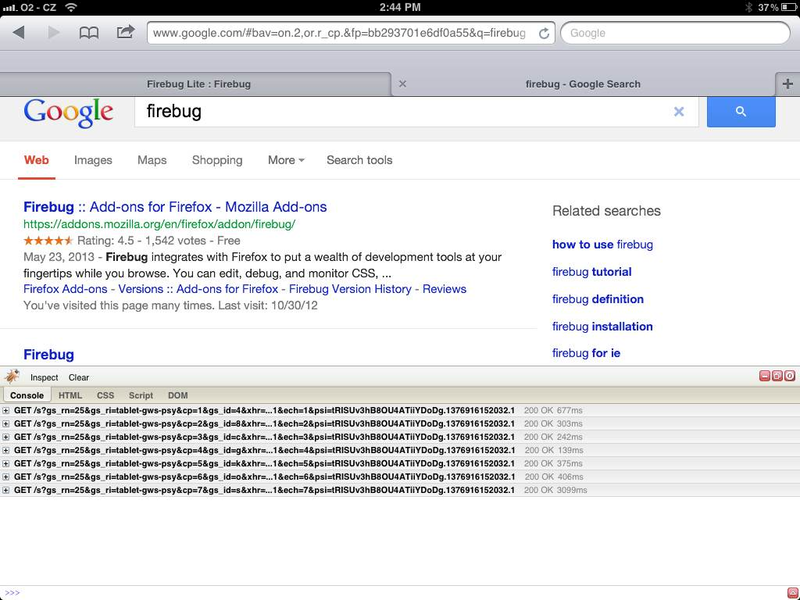 Finally, you can install Firebug Lite as an extension into Google Chrome browser. 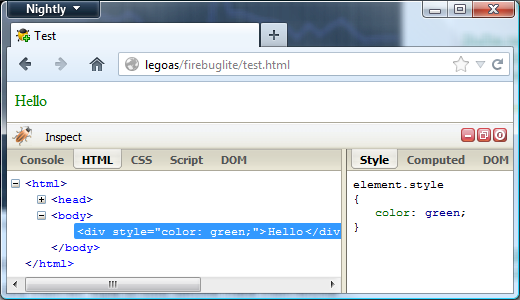 Read more about Firebug Lite on Chrome. If you are interested to contribute to the project you can start with reading Gal's post explaining what you can do. Gal Steinitz is the current Firebug Lite maintainer, so shoot any questions about what's coming up in his direction! You might also be interested in what the future holds for Firebug Lite.